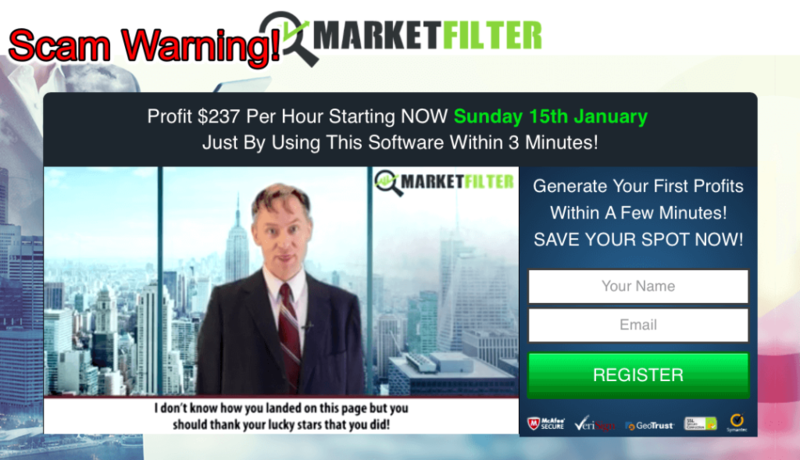 Market Filter Review - Is Market Filter 3.1 Scam Software? 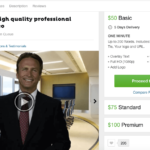 Market Filter Review – Is Market Filter 3.1 Scam Software? The Market Filter 3.1 software that launched recently is making quite a wave. We too decided to take a look at it and as expected it too landed in our ‘trash’ list. The Market Filter software is a SCAM, and we advise you to stay away from it. The interest that this software is generating is a matter of concern because it means that many people would fall prey to it and lose their money for good. If you seek an honest review on it, then it’s the right place to be. Market Filter 3.1 Review – What is it all about? 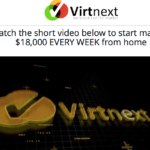 We are introduced to the Market Filter software by a millionaire named Martin Foster. Yes, you heard us right, that’s what Martin says he is! Don’t worry, nobody would assume a millionaire standing for half an hour, painstakingly speaking non-stop in that ‘cheap’ suit. He tells us that did not trade in his entire life but for the last two years. His family was involved in trading, so whatever his sub-conscious mind imbibed over the years, listening to their talks over dinner and get-togethers; he used that knowledge to create this software. Anyways, let us see what his supposed ‘money making machine’ does. 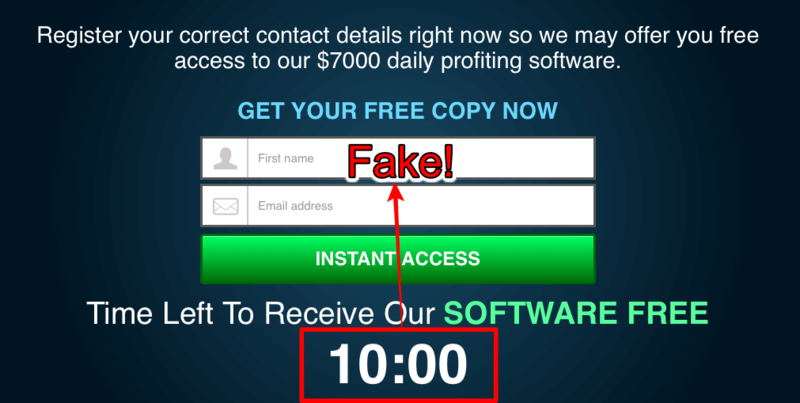 We are told how the software is capable of generating over $291 in an hour. This figure changes to some other value if you visit their website some other day. It’s asserted that the Market Filter can make over $7,000 in daily profits. What’s plain bizarre is that one could withdraw his money the next morning! How can a software promise stuff like this. Isn’t it the broker’s part to disburse money and state the timelines? And which broker are we dealing with while trading with Market Filter, we are never told. Why is the Market Filter 3.1 A Scam? The moment we heard of the tall claims of profits, we felt suspicious and were nearly sure that this too would unfold as a scam. Martin tells how his software has made millionaires out of the forty people he has given his software to. He churns out stories of his profits and his family’s combined yearly figures. It is just not feasible for software created by a so-called programmer to make $10 million in a year. Had it been so easy for any programmer to make a high-end software like the Market Filter single-handedly, then there is no paucity of programmers in the world. Why do we not see programmers giving up their jobs and getting rich? The whole IT industry is full of professional programmers and testers. The timeline of software development that Martin shares with us is also unrealistic. A lone person has been given the responsibility of playing with a ‘big’ bank’s database. Is it a joke going on around here? A bank would never hire a freelancer to spruce up their banking. Martin speaks of how he is allowing only 50 more people worldwide and that only less than ten spots are left at the time of our watching the video. Then how come the spots remain when we revisit the website or the video? Is there no one who felt inclined towards the software and signed up? The spots would never fill up because it’s all a dirty plan to dupe as many people as possible. It is a well-known fact that the risk factor and the uncertainty element cannot be ‘filtered’ out from binary options trading. The idea behind the Market Filter 3.1 scam software and the logic itself is faulty. There has been no such software as far as our knowledge goes, that could make such profits. The testers with whom Martin shared his software with have allegedly made over $100 million in combined profits! And we never heard a word about in the media or social circles. The reason is simple, it never happened. It’s hard to digest that the over 50 people who got a taste of becoming millionaires kept silent about it. Anyone who struck gold would definitely not be able to hide it for much long. All this, and we get to see fake testimonials on the website. It looks like the scammers too read our reviews because they have made an improvement in the way they present the testimonials section on the website. The name of the testifiers now have a link to it, but again where does it lead to; nowhere! It’s a void link in each case. The scammers again used stock photos for the image of the ‘testifiers.’ You can yourself search the images on Google. Single Day Withdrawals – A Sham! Every transaction especially a withdrawal has to go through a set of procedures laid out by the brokers for transparency and security. The earliest time in which money could be transferred to your bank account is generally 3 working days. Not in this case though. Martin is an anonymous millionaire whose real name we don’t know and whose favorite pastime is acting. His latest role is in the pitch video of the Market Filter 3.1 software. Particularly known for his awkward expressions and odd gestures, Martin is no CEO or a millionaire. He is just an actor getting paid in return for standing and delivering his dialogues in front of the camera. Although we always knew about his profession, still we checked for the existence of any such ‘millionaire’ and failed. There is no mention of any individual with the name Martin Foster who is also a self-made millionaire anywhere. 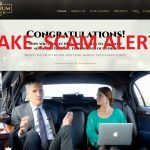 Verdict – Market Filter 3.1 Is Confirmed Scam! Avoid It! Don’t lose your money by investing in the Market Filter software. The version numbers are nothing but a trick to make you think as if many improvements have been made over it and the version 3.1 is the latest version available. Don’t trust the hollow promises of earning huge profits daily. The software doesn’t even mention its trading platform or its algorithm. The Market Filter is just a dirty new scam which is not older than a few days, trash the talk of it being over four years old. Warn your near and dear ones too, lest they should make the mistake of trusting the scammers. I hope this Market Filter review helped you in taking right decision. You can check out top 5 recommended robots, if you are looking to invest your hard earned money in a genuine robot. Aurum Tech Review – It Is Confirmed Scam – Find Out Why! 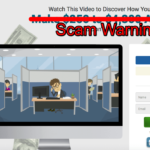 BinaTrust Review – Scam Signal Service! Avoid It! 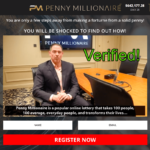 Penny Millionaire Review – Another Scam System? Warning! Is OptionRobot a scam or a legit program? OptionRobot is not performing good nowadays. Avoid it.